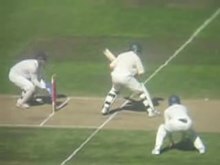 ^ "Wisden rates Gilchrist the fastest scorer ever". ESPNcricinfo. Retrieved 18 October 2007. ^ "Sobers named as ESPNcricinfo's greatest allrounder". ESPNcricinfo. Archived from the original on 29 April 2007. Retrieved 27 April 2007. 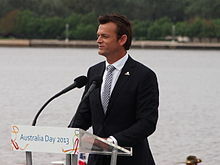 ^ "Adam Gilchrist quickfire final". cricinfo. Haigh, Gideon; Frith, David (2007). Inside story:unlocking Australian cricket's archives. Southbank, Victoria: News Custom Publishing. ISBN 1-921116-00-5.